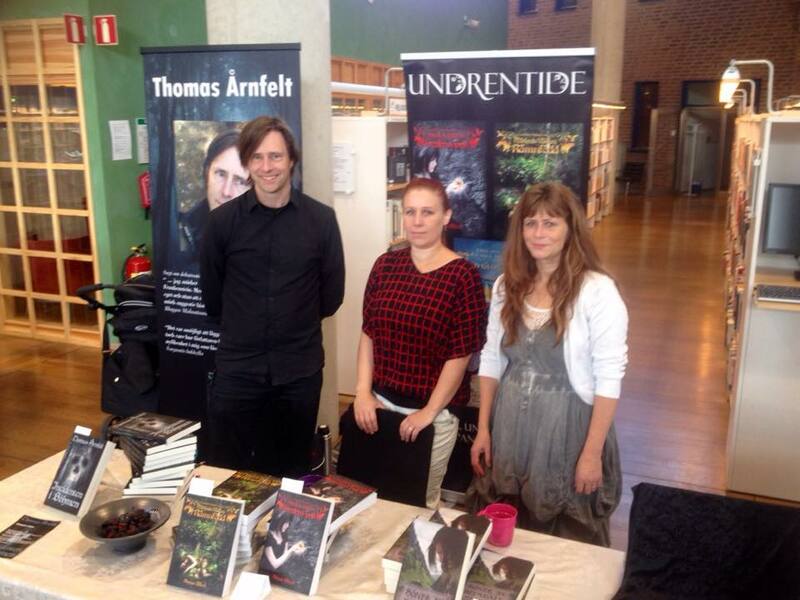 This Saturday, December the 3rd, is the day of TellUs – the 2016 edition of the yearly book fair in Linköping. I’ll be there as well as a whole bunch of other writers. Please drop by for a chat, and/or getting a book signed. The library, where the fair is, will be open 10.00-16.00. You’ll find me at table 41 – very close to the library’s info desk. If you want to chat with me and/or get a book signed I’ll be at Akademibokhandeln, City – Linköping today (Nov 12th) between 11.00 and 14.00. There’s a pod project called SweconPoddar collecting panel discussions and various interviews from the national Swedish SciFi and Fantasy cons. More or less every panel discussion from ConFuse, the 2015 SweCon, has been published, including two of mine! Updated the “Where to meet me” section. I’ll be at Confuse in August. Programme details to follow, but I will be participating in a few panels there, and my publisher will be there as well. I’m also going to Bok & Bibliotek in Göteborg in September. I don’t have any details whatsoever, but I know my publisher has a booth there, and we will also, most likely, be there representing Debutantbloggen somehow. I’ll continue updating as soon as I have more details. Have a wonderful summer with lots of reading! Today, Incidenten i Böhmen, is officially released. An official release, where I will be signing is held at the LinCon gaming convention at Linköpings Universitet between 2 and 5 this afternoon. Feel free to drop by and have a chat – and some snacks!